Mature Height: 1.5 - 2 ft. 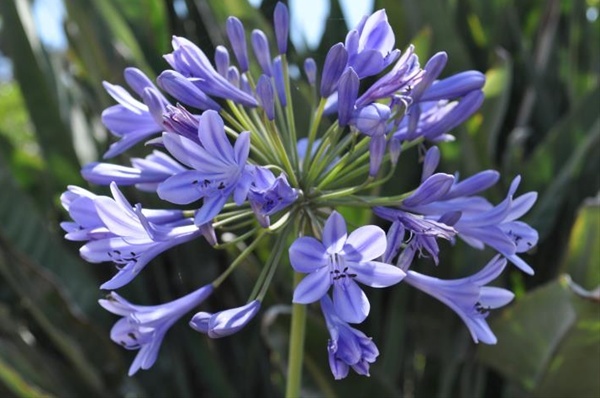 Mature Width: 1.5 - 2 ft.
Agapanthus africanus are evergreen or deciduous perennials with thick rootstocks and fleshy roots. Outdoor plants in zones 7-9, 12-24; indoor or outdoor tub or pot plants where winters are colder. Grow in the sub except in warm inland sections where partial shade keeps leaves rom burning. Divide them infrequently as every 5 years.